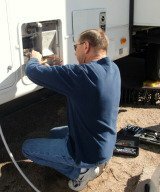 What happens if the owners of a Coast To Coast RV'ing package dies? Owners of a Coast to Coast RV'ing package has died. Daughter has contacted Coast to Coast and NO ONE will respond to her and the family is still paying the Dues from the estate. Why will Coast to Coast not call her back? Why should the estate be drained for something that can no longer be used?